KHKC 102.1 FM Radio, located in Atoka, OK, is today’s “Hot New Country” featuring artists like Toby Keith, Miranda Lambert, Brad Paisley, Jason Aldean and Blake Shelton. KHKC reaches to Pittsburgh County but focuses on the local communities of Atoka and Coalgate, highlighting Atoka, High School Football, Basketball and Baseball making KHKC the top local country radio station in the three county area. 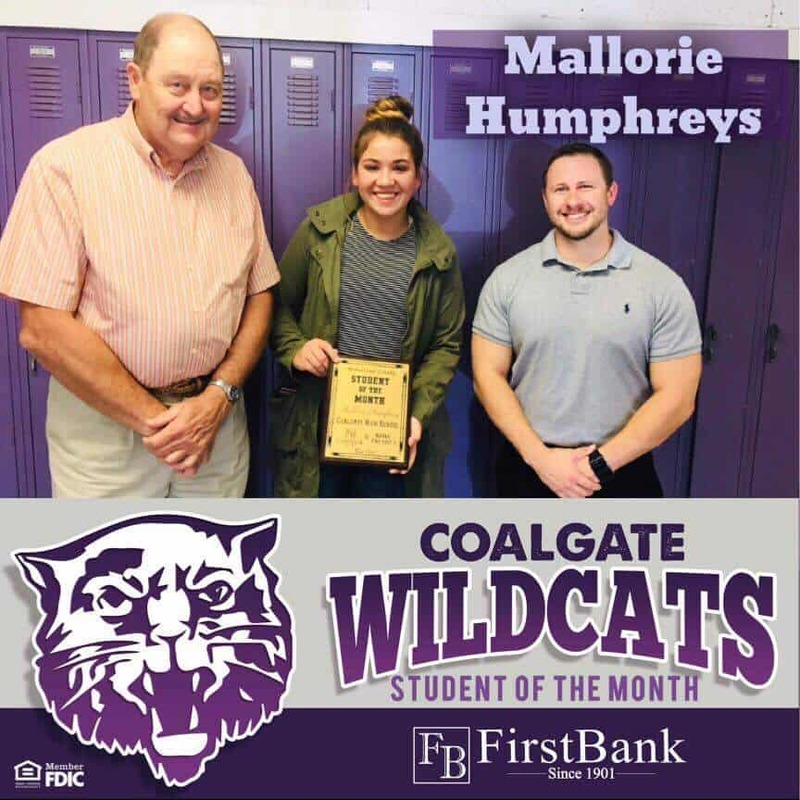 Congratulations to Mallorie Humphreys of Coalgate High School the 2017 First Bank and KHKC Student of the Month. Content Copyright 2015. Keystone Broadcasting All rights reserved. Powered by McWilliams Media Inc.